When having a pet, you have the need ins ide you to try and protect and love them – it’s just a regular human instinct. Whether it be a dog, a cat or even down to a pet chicken! This concludes the reason why when having a chicken, the main scare is the predators which also love your pet but in a very different way! With chickens mainly being an outdoor living pet, it is always important that you take the correct precautions (especially at night time) with their safety and wellbeing. This is due to the vast number of predators which often hunt down chickens. Some ways of preventing these predators can vary with all sorts of different techniques that many people have come up with and found to work efficiently for them. These include things such as keeping cats away by having a rooster within your chicken family, electric fences and many other ideas such as keeping substances such as cat food far away from your garden! But overall with the number of pests and predators which there are regarding chickens, there’s only really the main way which you can rely on for keeping your chickens safe. 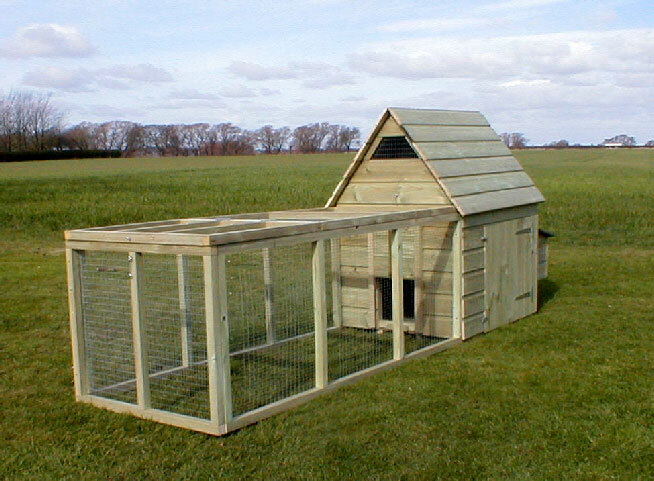 This is by having a fully secure and top quality chicken coup or house. By having a fully secure chicken coup or house, it will ensure to keep away many of these hunters and prevent your chickens from being snatched! With predators such as foxes, cats, owls, hawks and even racoons, it is highly important to consider all options when looking after chickens. So, with a house or coup, you have the bonus features such as a fully wooden secure roof (to keep away hawks and owls) as well as wooden walls and a door which you can close yourself (to keep away foxes, cats and many other animals). In addition to this, with many houses, you have the option of a detachable run – these are often made of a wire substance but are best to be detached and secured on a night time so chickens are safely kept within the house or coup. This is because, many predators such as Racoons and foxes, find ways of getting through this wiring so it is best for the chickens to be left within a wooden secure house or coup. Here at Fishers woodcrafts we have all sorts of different types of top quality and secure chicken houses and coops for you to choose from. They range in both luxury and price and you can’t go wrong with the option you choose as all products are guaranteed to have a great quality. If you would like more information regarding the type of chicken house you require, please don’t hesitate to give us a call here at Fishers Woodcrafts for more information and help! For even more guidance and images, you can find all sorts of media through our Facebook page so if you are interested, please feel free to check it out!